My Movies You Might Not Know list adds two titles today, both featuring Patton Oswalt, who has been drawing crowds as a standup comedian for about 15 years, but in the last few has been cast in some pretty good film roles. Last year, he appeared opposite Charlize Theron in “Young Adult,” in which she plays Mavis, a beautiful but desperate, lonely woman who will stop at nothing to win back an ex-boyfriend when she hears that he and his wife have a new baby. It’s another interesting career choice by Theron, who continues to play unique characters (“Monster,” “North Country”) that showcase her acting talent more than her exquisite looks. Oswalt, in a supporting role as Matt, a broken-down guy that Mavis ignored in high school but now needs as a sounding board, matches her step for step in their scenes together. His character seems to have been written (by Diablo Cody) as a one-man Greek chorus, but Oswalt’s humanity makes him much more. 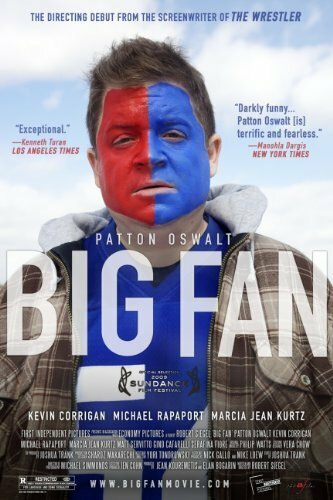 As for the other Patton Oswalt movie, a couple of years ago, he got a star turn in “Big Fan,” which didn’t play in many theaters but is now on DVD and deserves your attention. He plays Paul Aufiero, a loser who works as a parking lot cashier and lives with his mother.  Paul has no money, no life, no girlfriend, no hobbies other than following the New York Giants fanatically. He tailgates at their home games, but can’t afford a ticket to get inside the stadium, so he and his buddy watch a portable TV in the parking lot — literally on the fringe. But every night, he becomes a big shot when he calls in to a local sports radio show to talk up his beloved New York Giants and put down the hated Philadelphia Eagles. Those phone calls are such a highlight of his day that he spends hours composing exactly what he’s going to say before spouting off for an audience of like-minded sports obsessives. Anyone who’s ever hosted a call-in radio show knows listeners like Paul. They’re ready every day to jump into the conversation. Often, it doesn’t even matter what the topic is — they call at the top of the show and will talk about anything, always happy to express an opinion. This is their outlet, a way to fulfill their need to be heard by someone, anyone. These regulars can be entertaining, but their intensity and frequency of calling can make a show sound like too much of an insiders club, which keeps casual listeners from participating. Good hosts know how to keep them happy without letting them take over. Paul’s world is turned upside down one night, when he and his best friend spot their favorite Giants player on the street and decide to follow him. It doesn’t go well. Paul ends up in the hospital, but his injuries are nothing compared to the guilt he feels when the player misses a couple of games and the team loses. He’s torn apart by the notion that he did something that has hurt the Giants’ chances. Oswalt plays that conflict perfectly. The script by writer/director Robert D. Siegel (who also did “The Wrestler”) doesn’t try to make Paul likeable and cuddly, but has you pulling for this loser of a guy, even at his stalker-weirdest.